REBOUND ARENA OFFERS DEDICATED MIDWEEK SESSIONS FOR PRIMARY AND SECONDARY SCHOOL GROUPS. 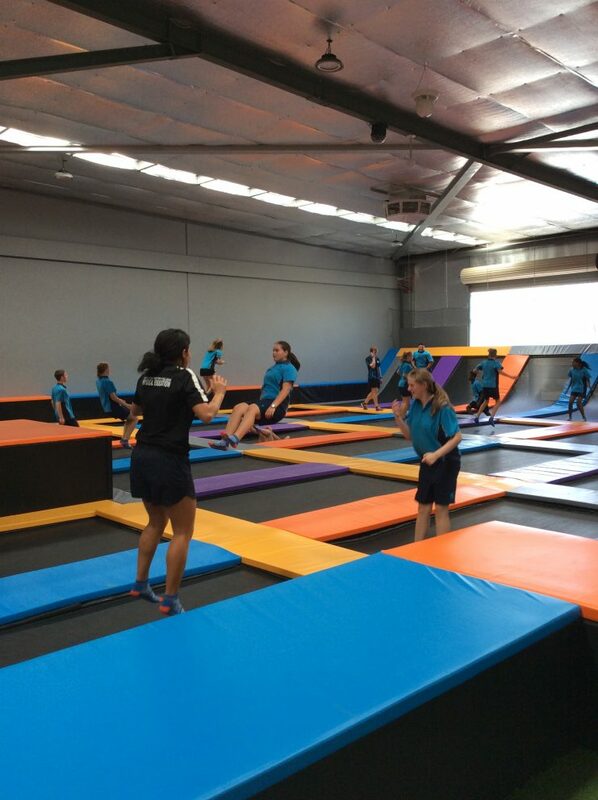 Trampolining is a unique type of physical activity which can engage everyone without favour, allowing the less athletic members among us to excel and be on a level playing field with those who are more sports orientated. A CLASS AT REBOUND IS ONE THAT EVERYONE WILL ENJOY. Jumping improves agility, balance and coordination. Common skills that can be transferred across many activities with both fine and gross motor skills. Elite athletes worldwide regularly incorporate rebound exercise into their intense training regimes. 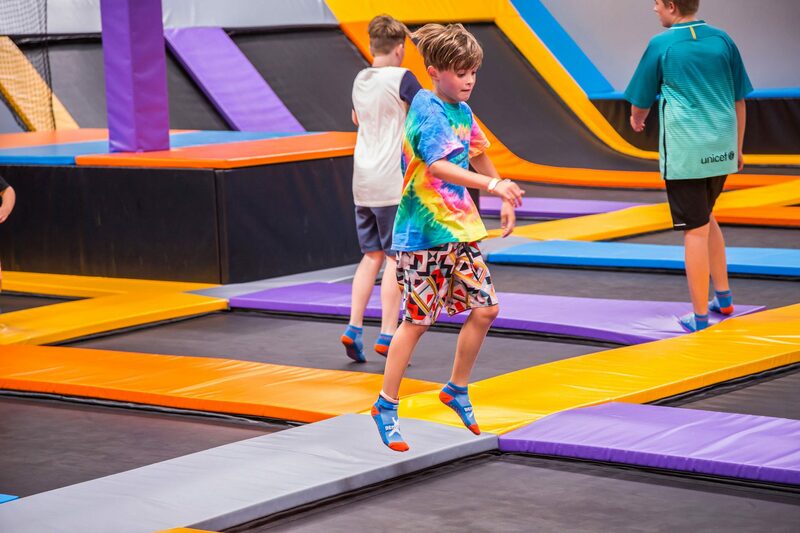 Our Facilities allow a variety of activities from general free bounce on the main arena to dodge ball battles. Classes can be broken into smaller groups to take advantage of each area of the venue in on a rotation system, incorporating games, activities and challenges. Groups will usually have exclusive run of the venue, depending on the time and group size. Teachers, assistants and carers will be offered a complimentary coffee or tea and are also encouraged to join in the fun! All participants will be provided a pair of grip socks on entry. We would like to make it an easy decision to choose Rebound as an excursion location for your school and will be able to provide all documentation that may be required. We look forward to seeing you and tailoring a package that suits your requirements. "Last year we took a large group of Year 7s to Rebound on a Friday night for a two hour social event. The students had an absolute blast and were disappointed that their two hours came to an end. I think they would have stayed all night if allowed. 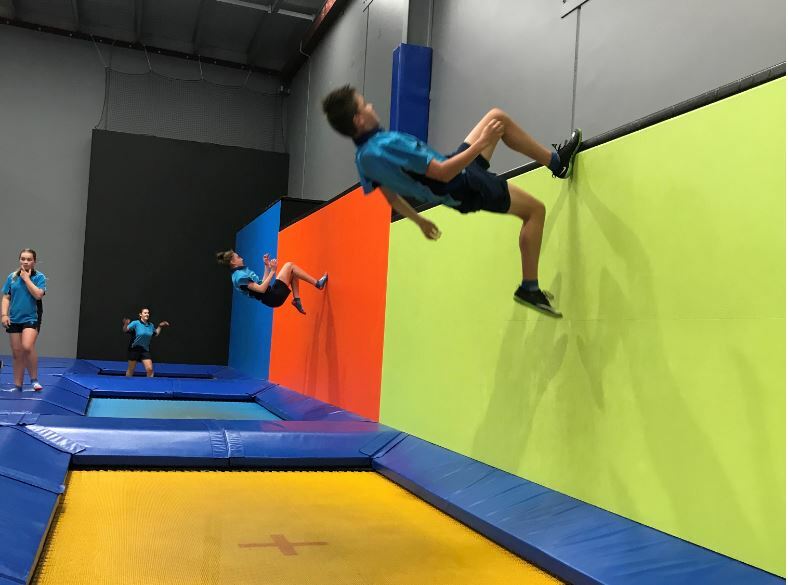 The highlights were definitely the bouldering wall, dodge-ball and the tumble runs which gave them the opportunity to do as many flips as they wanted. The staff there are great, providing adequate supervision for safety and tips for the kids on how to do elements safely and successfully. I would definitely recommend Rebound and we will be going again." 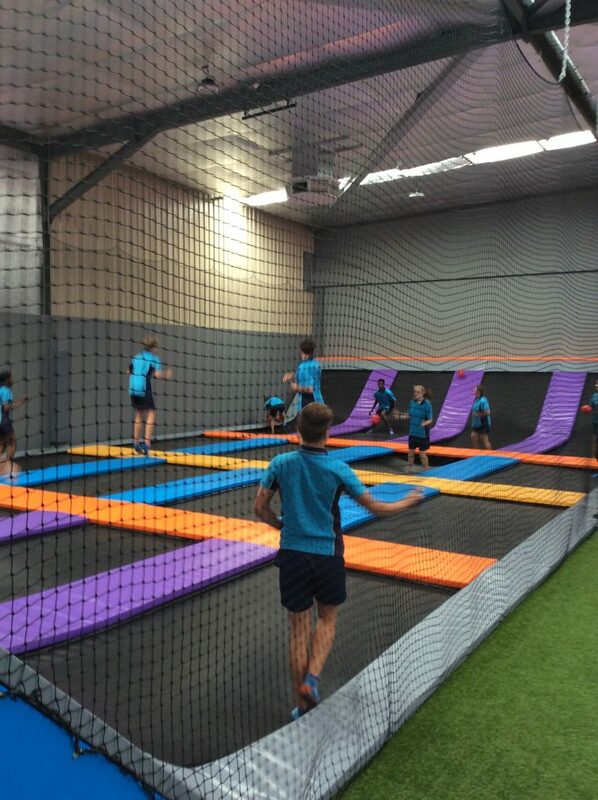 Students loved their experience at Rebound Arena. The facilities catered for our large group of students and their staff were enthusiastic and helpful. We will definitely return and make it a regular fixture when organising reward excursions. Our excursion to Rebound is a permanent fixture on our school’s calendar. The venue can easily cater for our large group of Year Sevens with ample space and a range of activities to suit all. The staff’s professional and friendly approach makes for a most enjoyable experience for both staff and students.